The environment consists of artificial and natural components. The natural components of the environment like air, water, land, soil, plants and animals are called natural resources. These resources are taken as gift of nature to human beings. Mankind used these natural resources for their prosperity and survival. Some resources like air, water, land, plants and animals can be regenerated by natural process but mineral resources cannot be regenerated, it has its own importance. A continuous and dynamic cyclic of natural resources is found in nature. People get different things from the natural environment. Some natural resources available in natural environment can easily and directly used. For example solar energy, water, fruits from plants can be directly used without any processing but some of the natural resources cannot be used, they need to be processed and refined, e.g. solar energy, water tides, winds, flowing water. We obtain heat and light energy from the sun as a principal source of energy in the earth. We use flowing water to rotate dynamo and generate electricity. All these resources do not exhaust due to their use. So, they are called perpetual resources. The natural resources that can be replenished through natural formation even after their utilization are called renewable natural resources. E.g. grass, food, plants, raw materials, etc. They die and get replaced by new vegetation. Soil formation is continuous and slow and other soil gets replaced by new soil. Water, wildlife, animals, plants, etc. are said to be renewable resources and but over exploitation of resources gets plants and animals lead to extinction. The resources that are in fixed quantity in the nature and cannot be obtained by any natural means are non - renewable natural resources. e.g. oil, coal, diesel, petroleum, etc are in fixed amount in the earth. They cannot be regenerated once they are finished. Such natural resources should be used properly and wisely and should preserve for future. Sources of fresh air and water : Without air and water we cannot imagine the life. Natural environment is the sources of fresh air, water, which are necessary for all the living beings and non living beings in the earth. If these important resources are polluted, all living beings will be affected badly. Nature always seems to apply its natural process to refine and purify them. Habitat: Soil, forests, are the habitat of different animals. Human beings use soil, water, minerals, and forest resources for building houses, bridges, roads. Soil is the habitat of micro â€" organisms, insects, worms, and plants. Water is habitat for aquatic animals like fish, sea horse, crabs, mollusk, etc. Forest is the living place of wild animals, birds, deer, elephant, etc. Sources of food: The land and forest are the important natural resources which is the source of food to man, animals, birds. Man gets meat, flesh, fur, bone and skin from the some wild animals. Human beings cultivate land to get food, grains, oil, cash, crops, clothes, etc. They get different types of products such as timber, firewood, and raw materials, to make color, herbs, etc. Natural beauty: Snowy mountains, green hills, plains, lakes, river, ponds, waterfalls, animals and forest resources provide natural beauty in nation and are never failed to theft the heart of people. It helps for the development of tourism industry by attracting tourists. It leads to the economic growth of a country. Economic development: Economic development of a nation depends on the availability and utility of its natural resources. Proper use of natural resources helps in the economic development. Agriculture and industrial development depends on the availability of these resources. Natural resources help for the tourism development. Our country has such diversity and beauty in nature, e.g. mountains, hills, lakes, river, etc. which attracts the tourists. We can establish different adventure places like bungi jump, boating, rafting, rock climbing, ballooning, etc. Thus, it helps to promote tourism industry and increase revenue. Area of study and research: Nature is a vast and complex phenomenon. It is so wide that even a tiny part of it is enough for conductivity study and research programs. Many people have conducted study and research in the various part of nature. Many researchers have started about species, their nature, food and habitat and so on which has widened our scope of study. The natural resources which can be regenerated and renewed, are called renewable natural resources. The natural resources which cannot be regenerated and get exhausted after overuse are called non- renewable resources. Animals, plants, fresh air, fertile soil and fresh water are the examples of renewable natural resources. 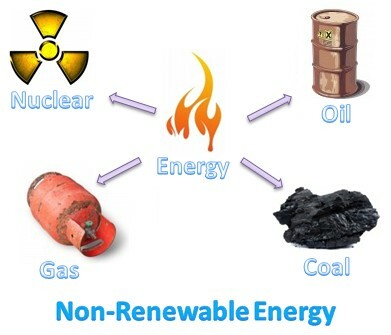 Fossil fuel, natural gases, metallic minerals and non- metallic minerals are the example of non- renewable resources. We can manage this sources through proper conservation of them. We should use alternative resources for their conservation. The natural components of the environment like air, water, land, soil, plants and animals are called natural resources. The natural resources that can be replenished through natural formation even after their utilization are called renewable natural resources. E.g. grass, food, plants, raw materials, etc. The resources that are in fixed quantity in the nature and cannot be obtained by any natural means are non - renewable natural resources. e.g. oil, coal, diesel, petroleum, etc. Natural resources are the sources of fresh air, food, and water, habitat of animals and natural beauty. What do you mean by natural resources? Clarify its concept. The components of nature such as air, land, minerals, water, forest, etc. are known as natural resources. They are the gift of nature. All things that exist in nature are natural resources, which are not made by human. There are living and some non-living things. Land, minerals, rocks, mountains, climate, water are non-living things. All kinds of vegetation, human beings, animals, birds, insects, and microorganisms are living things. The cycle of dynamism and continuity is going on in nature which results in activities like breathing, destruction, creation, extinction and regeneration that are continuous in nature. There is continuous change in the state of the objects. Natural resources provides us suitable environment, settlement, fulfillments of desire and need of human being. Therefore, we should pay proper attention for its protection and conservation. Classify the natural resources and explain each of them in brief. Perpetual Resources: perpetual resources is that resources which never depletes and never ends. So, they are also called unlimited resources. They do not get exhausted due to utilization. Perpetual resources quantity is maintained normally by natural phenomenon. Maximum utilization of these resources is beneficial in our life due to its limitless quantity in the nature. Tides, solar energy, winds etc. are the food examples of perpetual resources. Renewable resources: Renewable resources can be renewed or regenerated again and again after its utilization. These types of resources are regenerated according to natural process of formation in the nature. Plants, fish of ocean, fresh air, fresh water, fertile land, and various biological resources are renewable resources. 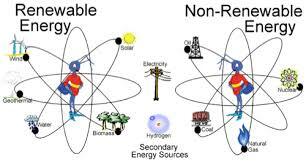 Non-renewable resources: Non-renewable resources are those which cannot be regenerated once finished. These resources are limited in nature. Natural oil and minerals are its examples. The formation of these resources takes millions of years. Geographically distribute land of Nepal and describe in brief. Mountain region/Himalayan region: The northern part which is covered with snow land and at the altitude of 4877 to 8848 m is known as mountain region. The soil structure in this region is not very fertile. It occupies 35% of total land of Nepal. Hilly region: The land of hilly region is steep. The soil structure in this region is silty clay and loam. It is covered by hills and forest and agricultural production is good, in comparison of mountain. It occupies about 42% of total land. Erosion mostly occurs in this region. Terai region: The land of Terai region is plain. The land is made up of the fertile and sandy soil deposited by rivers. This type of land is very good for agriculture, so this region is known as "The Bread Basket" of Nepal. It occupies 23% of total land. Petrolium product is obtained from? What is the main source of energy? The major content of biogas is ______. In what form can solar energy be used? What kind of energy does a wind turbine use? Cheapest form of energy is ______. Which of the following sources emit fewer pollutants? The predominant source of energy on earth is ______. Which types of coal has highest percentage of carbon? Which types of coal has lowest percentage of carbon? Any Questions on 'Introduction to Natural Resources '?